SR22 OREGON online! Cheapest Quotes, just $7/month only HERE! It’s illegal to drive without car insurance in Oregon. The state requires drivers to carry several types of auto insurance coverage, including Liability Coverage, Personal Injury Protection (PIP), and Uninsured/Underinsured Motorist Protection. As a driver, you must provide proof of insurance to register your vehicle in Oregon. Driving without the required car insurance in the Beaver State attracts a serious punishment in the form of fines, confiscation of your car, and the suspension of your driving privileges by the Oregon Department of Motor Vehicles (OR DMV). Make sure that you have met the state’s minimum auto insurance requirements whenever you are driving in Oregon. Even though the state requires drivers to have the necessary insurance to register their vehicles with the OR DMV, you can still be asked to present proof of insurance if you are pulled over by law enforcement officers. 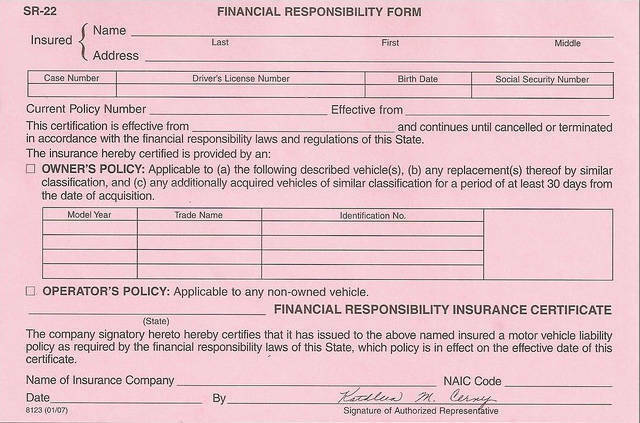 You can present either your insurance card or the declaration page of your auto insurance policy. 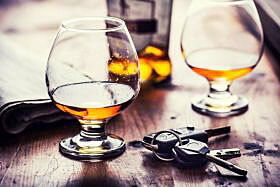 Driving without insurance, DUI/DWI, and other serious violations may lead to the suspension of your driver’s license. If you are caught driving under the influence of drugs or alcohol, or you happen to cause a serious accident, you may be asked to purchase additional auto insurance coverage such as SR22 insurance in order to restore your driving privileges. Getting SR22 insurance and holding on to the coverage for a predetermined period will help you have your driver’s license reinstated. Never heard of SR22 insurance before? Don’t worry, most people never hear about SR22 insurance until they are required to obtain it. In this primer, we discuss everything there’s to know about Oregon SR22 insurance. Read on. Also known as SR22 certificate of financial responsibility, SR22 insurance is a form of additional coverage for drivers who have been convicted of serious traffic violations. The term ‘SR22 insurance’ is a misnomer because contrary to popular belief, SR22 isn’t actually an insurance policy by itself, it’s a document that serves as proof that you have met the state’s minimum auto insurance requirements. The ‘SR’ is an acronym for Safety Responsibility. An SR22 certificate is required for drivers who’ve had their licenses suspended due to various traffic violations. What Is the Purpose of SR22 Insurance? The SR22 certificate of financial responsibility proves that you carry enough insurance coverage to satisfy the state’s requirements based on violations or judgments against you. SR22 insurance ensures that you’ve met these requirements and will continue to meet them for a specified time period — usually three years. Simply put, an SR22 certificate is filed for the purpose of showing proof of financial responsibility after being convicted of certain violations in the state of Oregon. Obtaining SR22 insurance will help with the reinstatement of your driver’s license after the suspension. How Does the SR22 Oregon Insurance Work? Obtaining an SR22 certificate in Oregon is a simple way for drivers to prove financial responsibility and restore their license after suspension. A standard SR22 insurance policy must meet the minimum auto insurance requirements in Oregon to facilitate coverage for bodily injury and property damage in the event of an accident that you caused. An SR22 certificate only provides liability coverage, meaning that your car or personal property in it are not covered by the policy. If the damage exceeds the minimum liability limits, you have to cover the excess amount out of pocket. Who Needs SR22 Insurance in Oregon? If you have Type Action 04 involving uninsured drivers who did not pay the requisite compensation after causing injuries or property damage in an accident in the past. There are many situations where drivers may be required to meet the SR22 obligation. In most cases, you will be ordered by the court to obtain SR22 insurance if you get in trouble behind the wheel in the state of Oregon. The Oregon DMV uses the SR22 certificate of financial responsibility to protect state residents from drivers who are considered high risk. 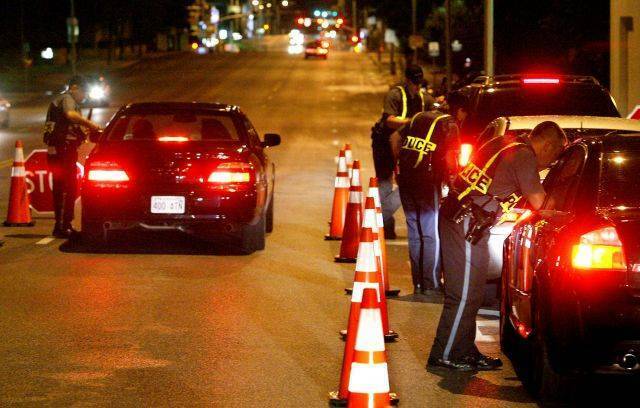 Being convicted of certain violations such as DUI or DWI puts you in the category of high-risk drivers and you will be required to file an SR22. How Do I Obtain SR22 Insurance in Oregon? In Oregon, SR22 insurance is regulated and distributed by the Oregon Department of Motor Vehicles (OR DMV). The OR DMV works with various private auto insurance providers to facilitate the acquisition of SR22 insurance. As a driver, you can only file of SR22 insurance via your auto insurance provider. Filing an SR22 form in Oregon is pretty simple – all you need to do is find an auto insurance provider (if you don’t have one already), pay the processing fee, and the insurance company will take care of the rest. Keep in mind that not all insurance companies provide this service. The insurance company will file the SR22 with the Oregon DMV on your behalf. You can confirm with the DMV to verify that your SR22 filing has been successful. After that, all you can do is wait for confirmation from the state of Oregon and your insurer that your filing has been accepted. Until you have received confirmation that your SR22 filing has been accepted, you can’t drive legally in the state of Oregon. If your application is successful, you will be issued with a temporary driver’s license which you can use until your suspension has been removed. What If I Am from Another State? If you have SR22 insurance from another state, you must maintain it to be able to drive legally in Oregon. In that case, it’s very likely that the SR22 insurance from your state is insufficient in Oregon. Make sure that you contact the OR DMV to confirm before you take any action. Out of state filing is also possible for Oregon-based drivers. Even if you don’t live in Oregon, you may be required to file SR22 insurance with the OR DMV before the other state can issue you with a driver’s license. Get in touch with the Oregon Insurance Division before filing SR22 find out if your insurance provider does business in the state. You still need to file an SR22 to legally drive in Oregon even if you don’t have a car registered under your name. If you have a non-owner car insurance policy, you can use it to fulfill this obligation. 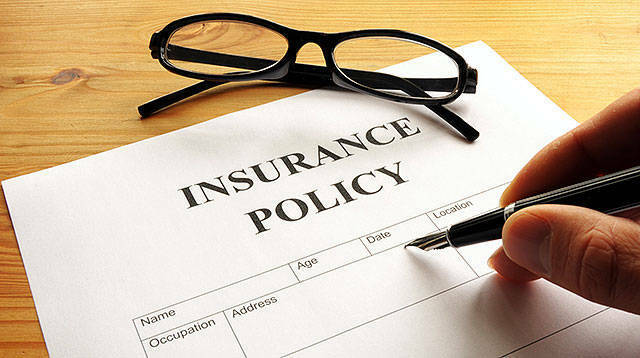 This policy is similar to a standard auto insurance policy in that it provides property damage and bodily injury coverage for the policyholder. Your SR22 filing will be attached to your non-owner’s auto insurance policy. By adding an SR22 endorsement to a non-owner’s policy, your insurance provider can help you fulfill SR22 requirements and have your license reinstated even if you don’t have a car registered under your name in Oregon. How Much Does an SR22 Certificate Cost in Oregon? Filing for an SR22 certificate costs around $25 in processing fees. In Oregon, drivers are required to hold on to the SR22 certificate for not less than three years. During that period, you are required to keep up with the payments after meeting the auto insurance requirements. Failing to make timely payments will result in a coverage lapse. The insurance provider is obligated to inform the OR DMV of any lapses in coverage. The OR DMV will, in turn, restart the SR22 coverage period. Once you file for an SR22 certificate successfully in the state of Oregon, don’t let the coverage lapse or you will face harsh consequences. How Long Will I Keep the Oregon SR22 Insurance? In Oregon, high-risk drivers are required to file for an SR22 certificate. Once you purchase insurance and file the SR22 with the Oregon DMV, the SR22 insurance remains on your policy for a predetermined period of time. The SR22 coverage stays on your policy for a minimum of 36 months (3 years). The severity of your violations that led to the SR22 requirement will affect coverage period. For instance, if your driver’s license is suspended for five years due to a DUI, you will be required to maintain the SR22 insurance for a period of five years. You must keep the SR22 coverage active for the entire period. How Will an SR22 Requirement Affect My Auto Insurance Rates in Oregon? SR22 insurance is just like regular insurance in many aspects, including the pricing. However, SR22 insurance is associated with high-risk drivers and for that reason, it will increase your auto insurance rates. 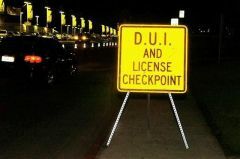 As soon as you make a request for SR22 filing, your insurer knows that your driver’s license has been suspended for a DUI/DWI violation and changes your status to ‘high-risk.’ Your insurer will have to charge you more to cover the additional risk hence the increase in auto insurance premiums. The higher rate is as a result of the higher risk factor. Your auto insurance rates could increase by 200-300% from what you used to pay prior to the suspension of your driving privileges. Keep in mind that your Oregon SR22 insurance rates will vary from one insurer to the next. While the price is an important factor when it comes to choosing an SR22 insurance provider, the insurer that offers the lowest rates is not necessarily the best. It’s imperative that you choose an insurance company or agent that you can trust to get your information and payments to the OR DMV as fast as possible. What Happens If I Don’t File an SR22 Form in Oregon? The Oregon DMV may repossess your vehicle. Choosing the right insurer when it comes to SR22 insurance ensures that you don’t pay more — in terms of time or money — as a suspended driver in the state of Oregon. Shop around until you find a policy that can help you fulfill your SR22 obligation effectively. If you are looking for SR22 insurance in Oregon, we can help you out. Just fill out the form at the top of the page to get a quote. Alternatively, you can give us a call and speak to one of our agents for more clarification on SR22 insurance requirements in Oregon. Copyright © 2019 SR22 Oregon. All Rights Reserved.